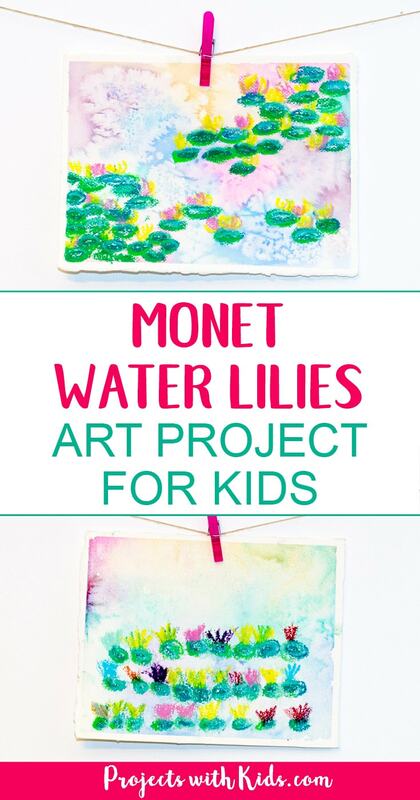 This Monet water lilies art project for kids is a great way for kids to learn easy watercolor techniques and explore oil pastels. I love watercolors and the beautiful patterns that they create, and oil pastels are so colorful and vibrant, using them both in the same painting produces amazing results. 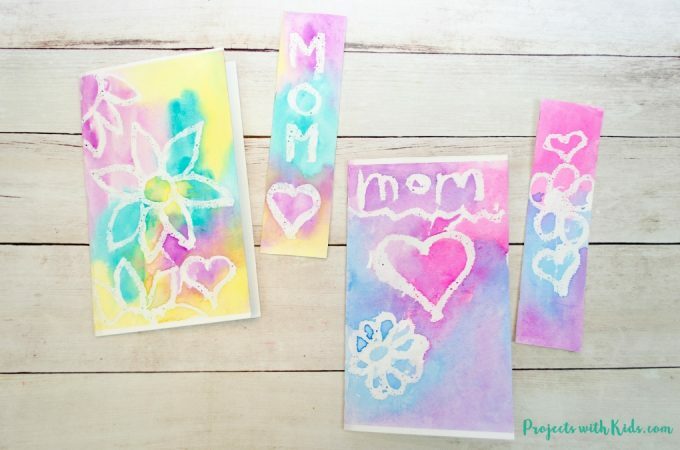 Check out our awesome watercolor painting for kids post for more fun and creative ideas kids will love! 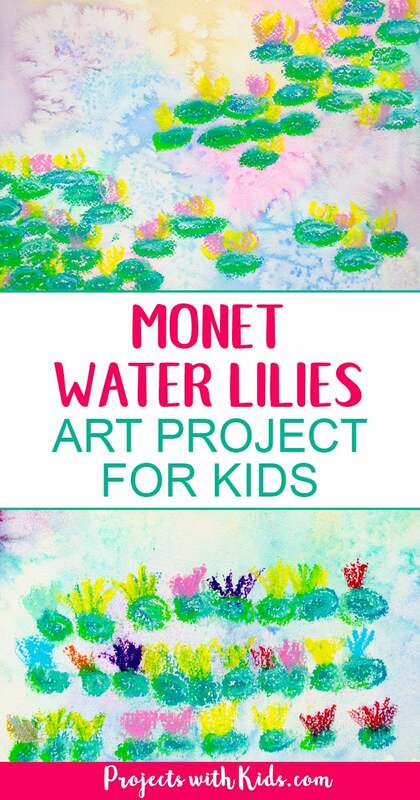 Claude Monet painted such gorgeous paintings of lily pads and water using soft beautiful colors and my kids loved learning a bit about Monet’s artwork and his life. Monet is one of my favorite painters and even though he used mainly oil paints for his artwork, I thought it would be fun to try out watercolor and oil pastels for our Monet water lilies inspired paintings. 1. 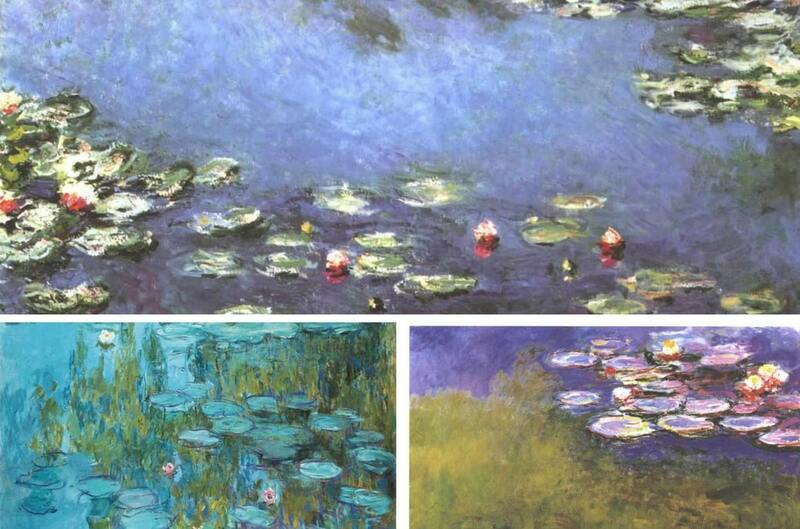 First, take a look at some Monet water lily paintings, and notice the different colors that Monet used for the water. He liked to use soft blues, purples, pinks, and yellows. 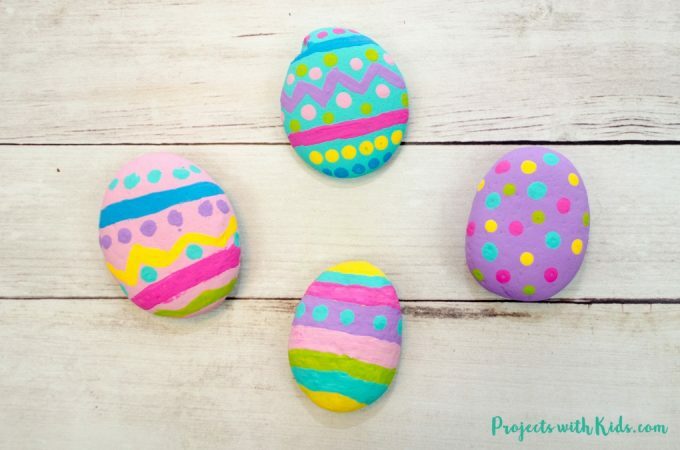 Have the kids pick out 3-5 colors that they want to use for their painting. 2. Tape your paper down to a board, this will help to keep the paper from buckling and keep it from moving around. 3. Mix your colors, I like to have a spare piece of paper handy to test out the colors first. The colors will end up drying a bit lighter than you mix up. 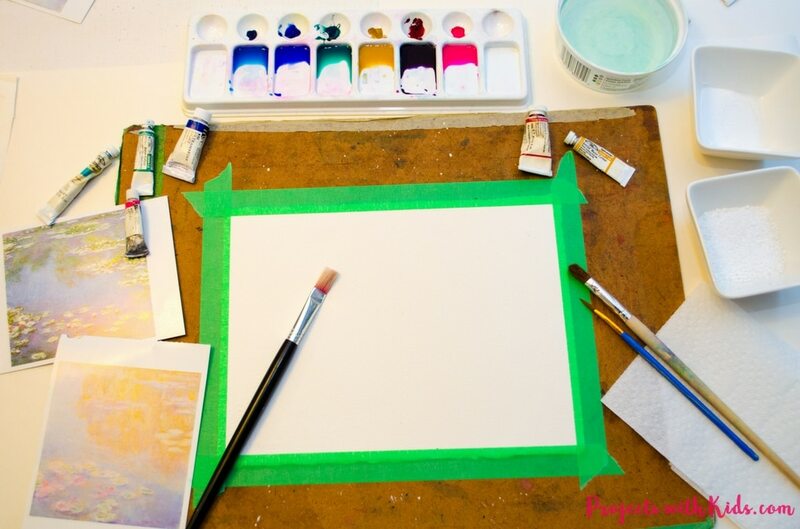 Put some clean water on your palette and add your paint color to that, you can add more paint to make the color darker, testing on your spare paper as you go. 4. 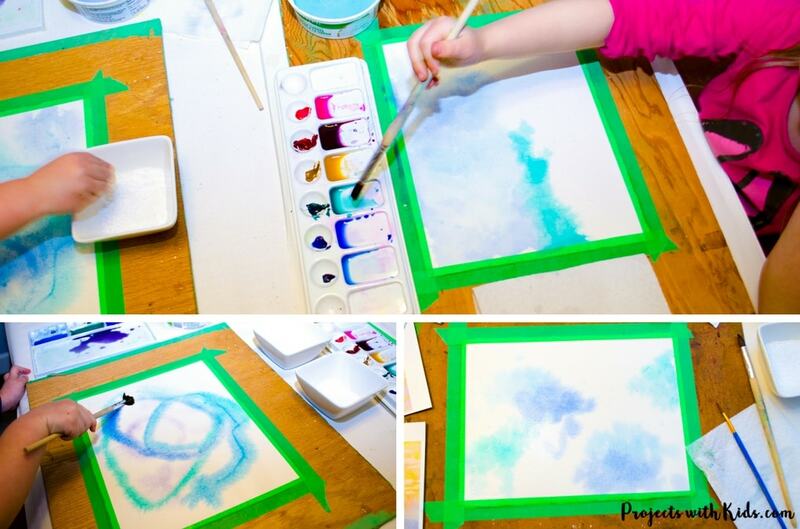 Take a clean brush and clean water and paint the entire paper with water. You want the paper to be wet but not soaking. If there is too much water on your paper, just dab it a bit with a paper towel. 5. While the paper is still wet, start to paint with your colors. The wet paper will help to mix the colors together and create beautiful and unique patterns on your paper. Remind the kids not to mix the colors too much, or the picture will look muddy. You want to let the wet paper help to mix the colors together. 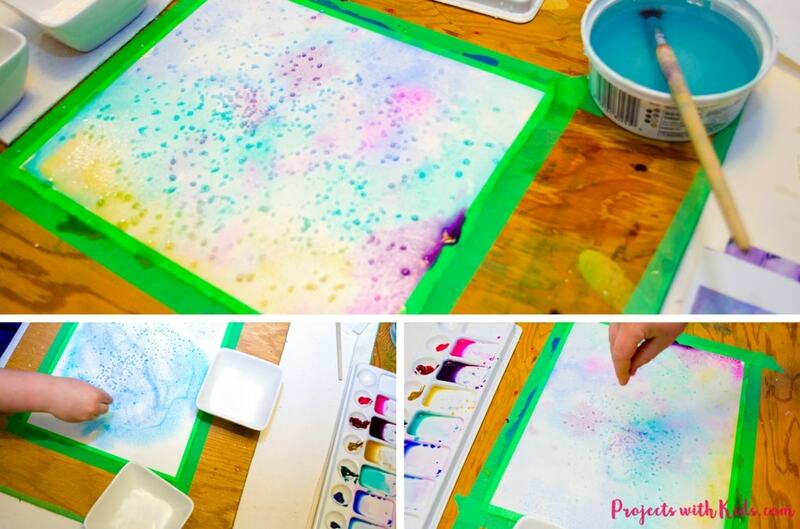 Let kids experiment with their watercolor paint and have fun! 6. Once the paper is covered in paint, take your salt and sprinkle it on your paper, we found the coarse salt produced the most dramatic results. Kids can sprinkle as much or as little salt as they like, but make sure they put on their salt while their paper is still wet. Leave the salt on and let the painting dry completely. Once your painting is dry, brush off the salt. This can be messy, I like to brush it off into the sink or outside. 7. 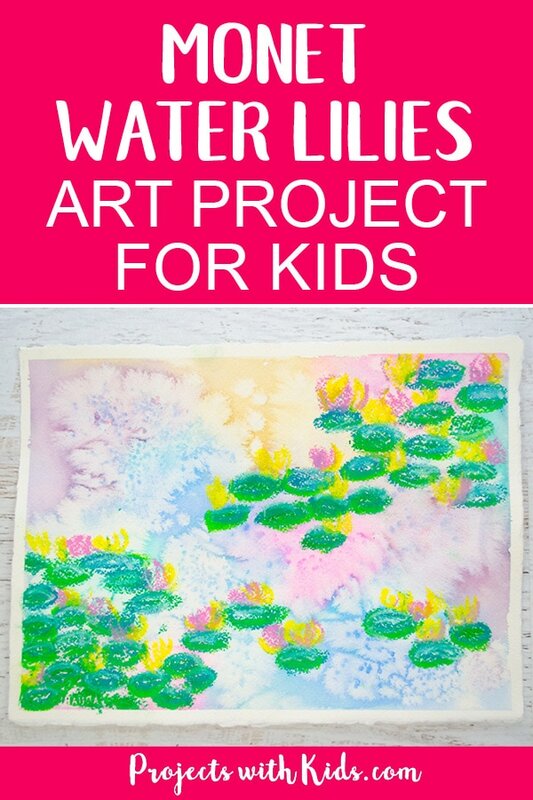 Take out the oil pastels and have the kids draw their lily pads and flowers on top of their paintings. We looked at Monet’s water lilies again and noticed that his lily pads were different shades of green and the flowers had different shades and colors to them as well. 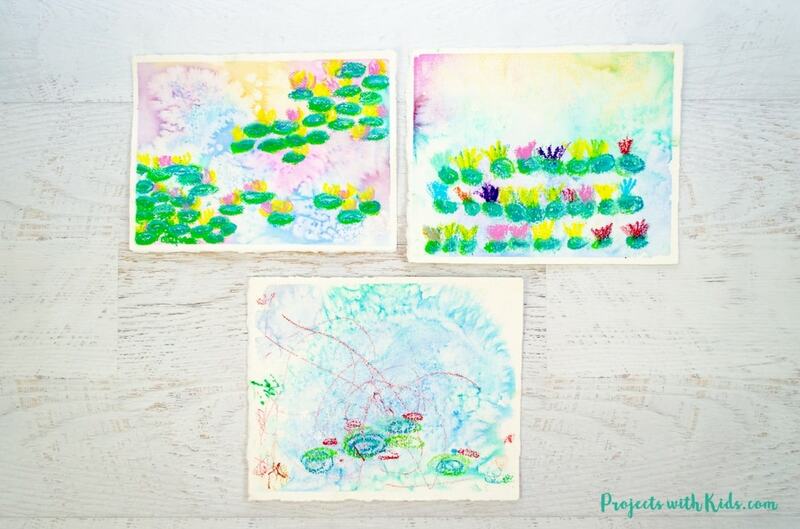 Encourage kids to try 2 or 3 colors for the lily pads and choose 3-4 colors for their flowers. 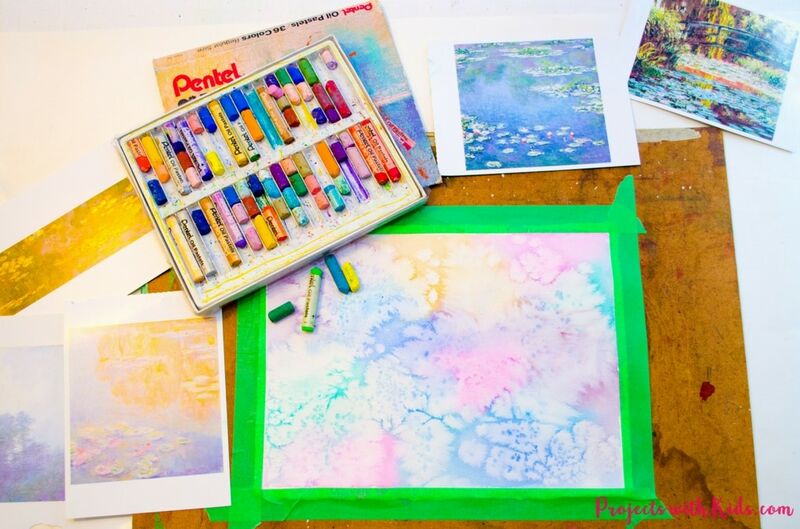 I love how bright and colorful our water lilies looked on top of our watercolor paintings! 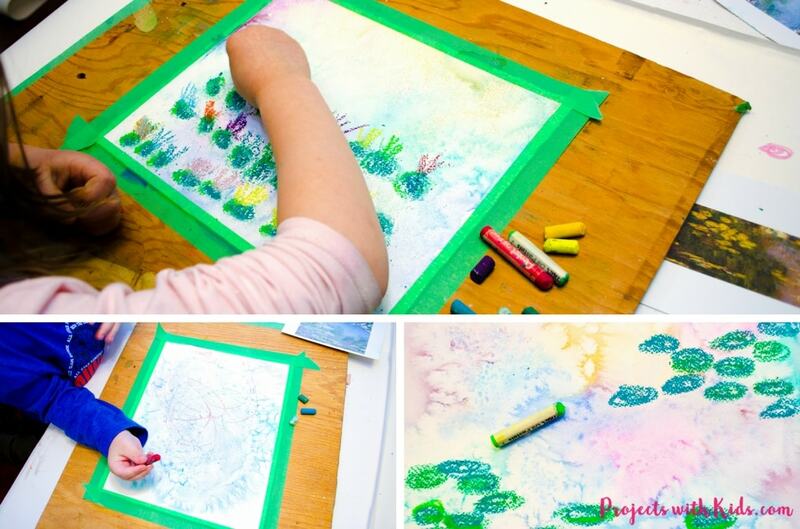 This Monet water lilies art project was so fun for all of us to do! Both my kids love watercolors and oil pastels, this was a great project to do that included both. Monet’s water lilies are so beautiful and my kids loved looking at his artwork and noticing all the gorgeous colors that he used to create his paintings. 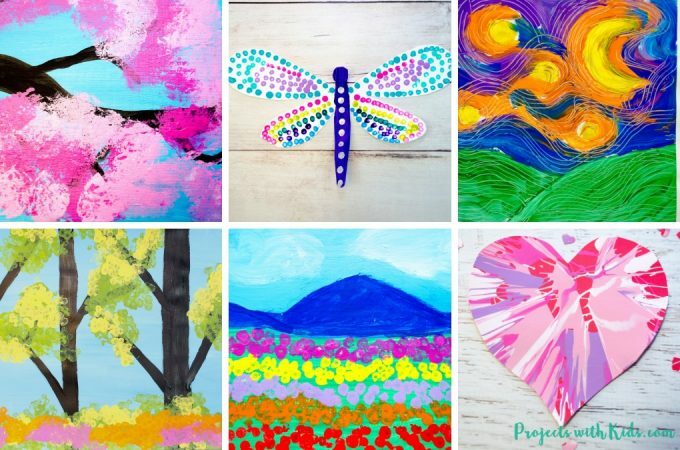 Want more awesome watercolor projects for kids to explore? Check out these unique watercolor bookmarks and these beautiful northern lights watercolor painting for kids! 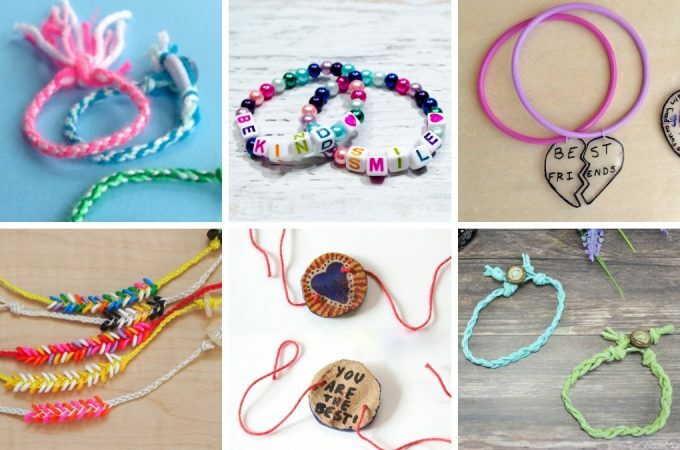 Follow me on Pinterest for more amazing project ideas!